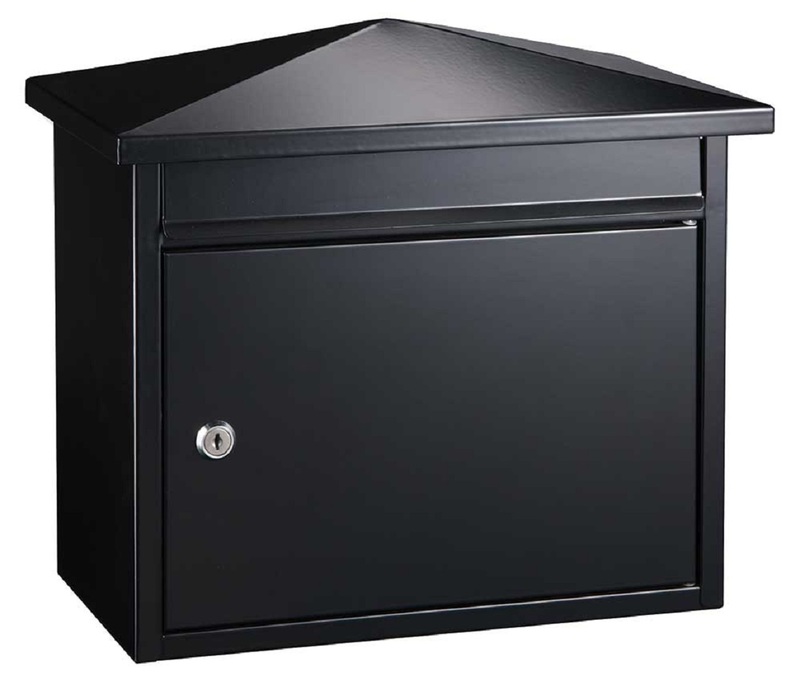 Winfield Summit is a simple decorative wall mount locking mailbox which features a peaked roof. Mailbox is made of galvanized steel and has a tough black powder coat finish to last many years, front locking door swings open for easy mail retrieval. Comes with a weather resistant lock and set of keys. Incoming mail slot opening: 12-7/8" x 1-1/2"
Add vinyl street numbers or a business logo. Call for more information.